Home News > Lecture about "New in the world of cosmetics"
"New in the world of cosmetics"titled. 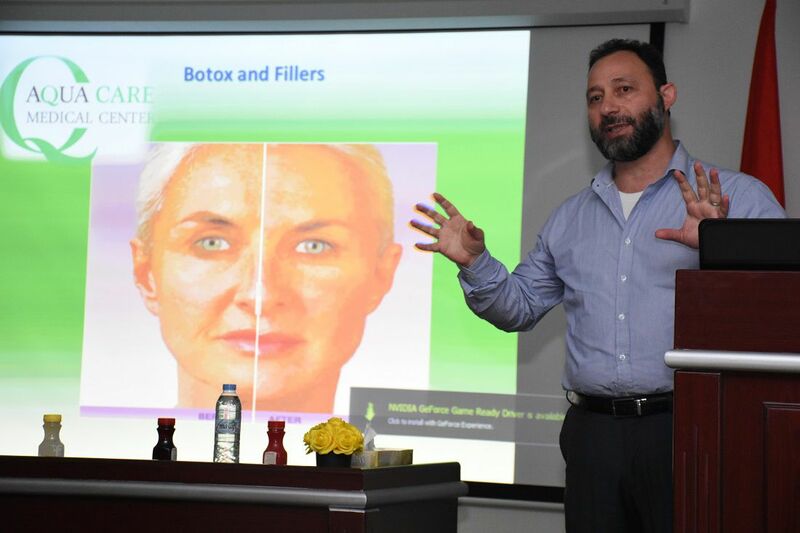 Lecture will be delivered by Dr. Nasser Al-Dweik of Aquacare Medical Center where he will address the definition of the science of plastic surgery and its role in the treatment of burns and birth defects, operations of the chest, tummy tuck, liposuction, tightening eyelids, and in addition to some modern techniques in cosmetic science. The visit comes within the framework of the university's keenness to open relations with many health and scientific institutions and will be greatly beneficial for all university students. 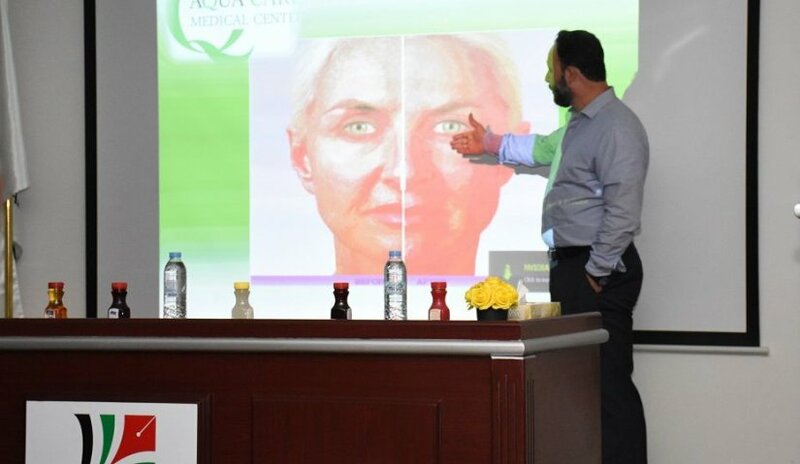 Al Falah University welcomes the collaboration of Aquacare Medical Centre.